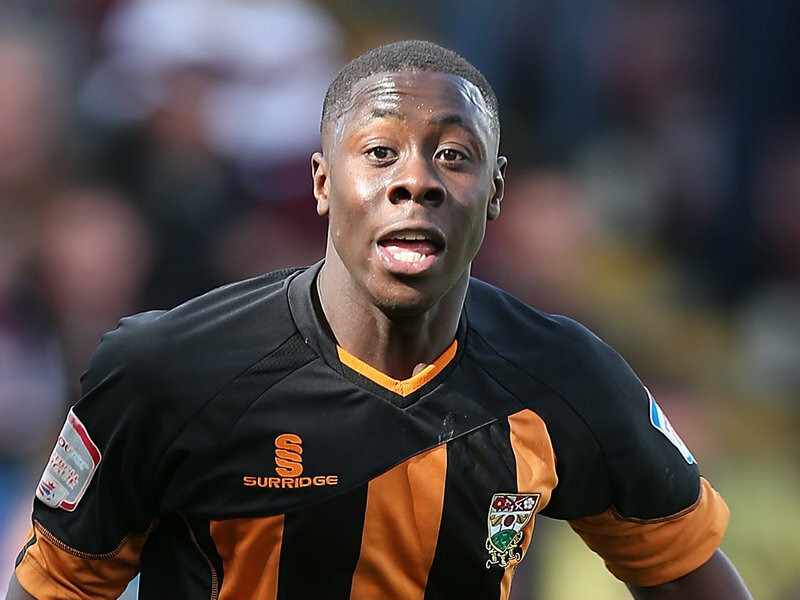 “Former Barnet Captain Andy Yiadom has signed for Barnsley during the Summer on a free transfer and a two year contract” ran the headlines in May 2016. Andy has been a influential part of the new Barnet FC at The Hive and of course a major contributor to our Conference Championship win in 2015. Brill – Dennehy, Downing, Hajrovic, Saville (Byrne) – Hughes (Yiadom), Obita, Kamdjo (Mustoe), Deering – Holmes, McLeod. With the arrival of new Manager Edgar Davids, Andy soon blossomed into a speedy right sided midfielder, with that never let you down, 100% effort attitude. He will always be part of Barnet Football Club folklore playing in the final ever game at Underhill against Wycombe Wanderers. By 2013-14, and the club now at their new home The Hive, Andy had developed into a natural right full back, his bustling over lapping runs a feature of Martin Allen's style although he could play virtually anywhere and look comfortable. That season consolidated the clubs' and Andy's position before his outstanding contribution to the return to the Football League campaign a year later. Andy only missed 5 league games all season. Reward came by way of his selection by former Bees manager Paul Fairclough for the England C squad. He won 3 international caps scoring twice. In 2015 Andy was made club Captain at Barnet marshalling another solid season, this time in the Football League, where he attracted much interest and was watched regularly by Scouts.